Macro economists can only rarely conduct controlled experiments. Most often, they must glean what they can from the naturaleriments that history gives them. One natural experiment is hyperinflation-the high inflation that arises when a government turns to the printing press to pay for large amounts of government spending. Because hyperinflations are so extreme, they illustrate some basic economic principles with clarity. 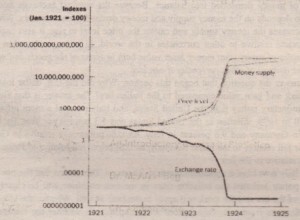 Consider the German hyperinflation of the early 1920s. Figure 3 shows the German money supply, the German price level, and the nominal exchange rate (measured as US. cents per German mark) for that period. Notice that these series move closely together. When the supply of money starts growing quickly, the price level also takes off, and the German mark depreciates. W?en the money supply stabilizes, so do the price level and the exchange rate. 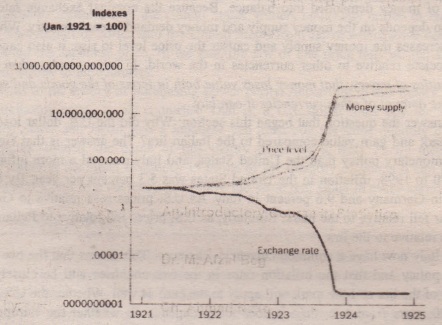 The pattern shown in this figure appears during every hyperinflation. It leaves no doubt that there is a fundamental link among money, prices, and the nominal exchange rate. The quantity theory of money discussed in the previous chapter explains how the money supply affects the price level. 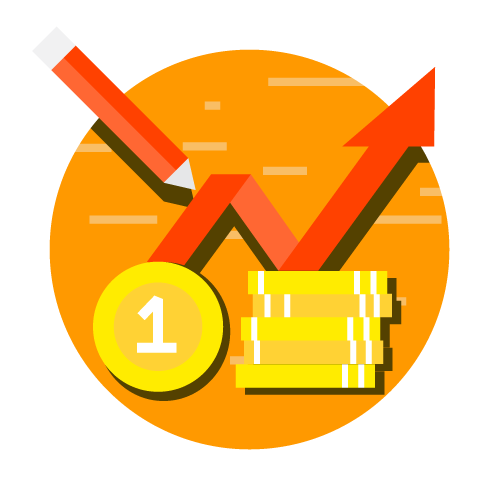 The theory of purchasing-power parity discussed here explains how the price level affects the nominal exchange rate. figure 3 Money. Prices, and the Nominal Exchange Rate during the German Hyperintlation.